We've been awarded our second Active School Flag! 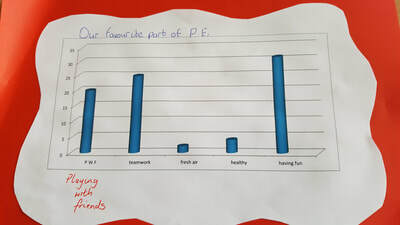 ​Well done to all our pupils and staff who worked really hard this year- a special well done and thank you to our Active committee for their enthusiasm, commitment and great ideas during our renewal journey. As you may be aware, we are currently working towards renewing our Active School Flag. 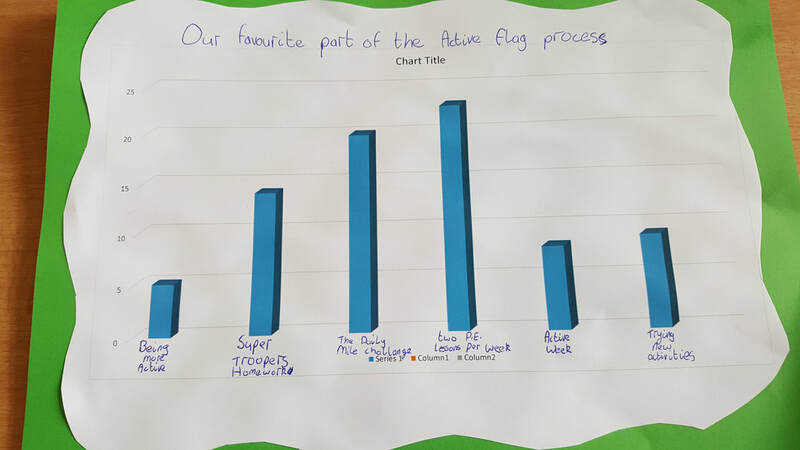 The Active School Flag is awarded to schools that strive to achieve a physically educated and physically active school community. As part of this process, we will be continuing with some initiatives along with undertaking some new ones. 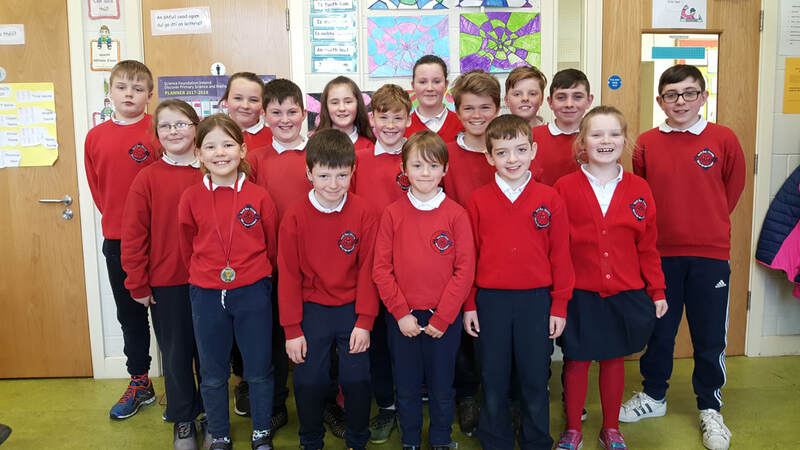 A number of children from 1st to 6th class have been selected to form our committee. Mrs Duffy is Active School Flag co-ordinator. All classes will receive 2x 30 min PE slots to encourage activity throughout the week. Children are encouraged to be as active as possible during break times. Break time equipment will be audited and updated over the next few weeks and all children have been given the opportunity to suggest what they would like to play with. Parent suggestions are also welcome. We are working in collaboration with Louth Sports Partnership as one of three pilot schools in Co Louth to roll out The Daily Mile Challenge. The aim of the programme is to increase physical activity in school age children. Every child will participate in 15 minutes walking or running every day for five weeks. Please ensure your child is wearing suitable footwear. All classes are receiving active homework one night per week. All games and activities are explained in the Super Troopers booklet. This is a great chance for the whole family to get involved in physical activity and have some fun together! Active week will be held from June 5th- 8th. Sports Day will be June 7th (weather permitting) We look forward to another fun filled week of movement and activities! If any parents would like to get involved, please contact Mrs Duffy. Our school tour will take place on June 11th. It’s going to be a super day filled with outdoor and adventure activities for all. 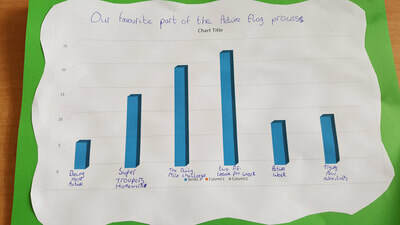 Our Active School Flag committee have been very busy carrying out surveys with all the boys and girls in our school. We did 3 surveys. Well done to Beth in 5th class on her winning entry for our active slogan competition. 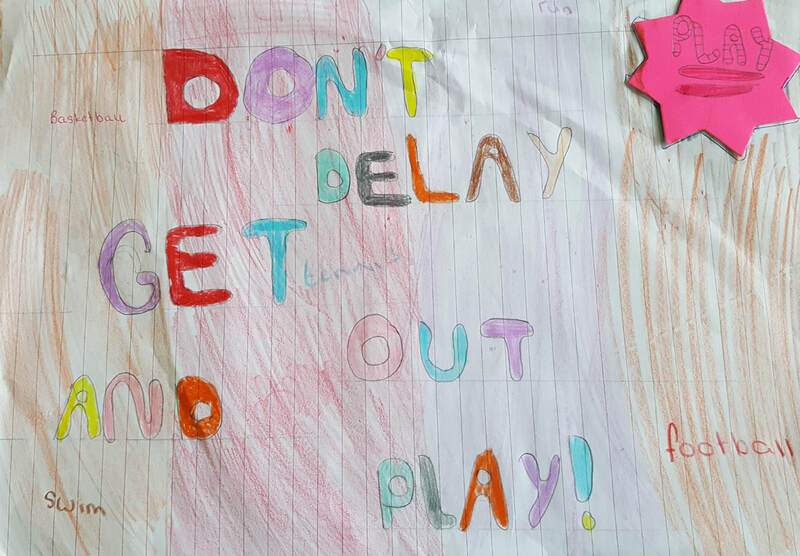 "Don't delay- get out and play!" We will be working hard and being very active in Scoil San Nioclás as we hope to renew our Active School Flag this year. 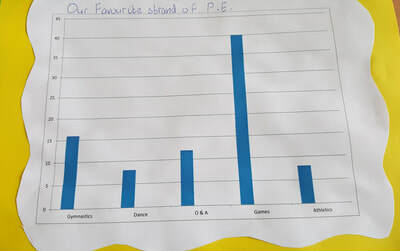 Mrs Duffy and the committee would love to hear all your suggestions for an active school and active playground.Any suggestions can go in the suggestion box on the Active School board in the corridor. Let's get Active!!! 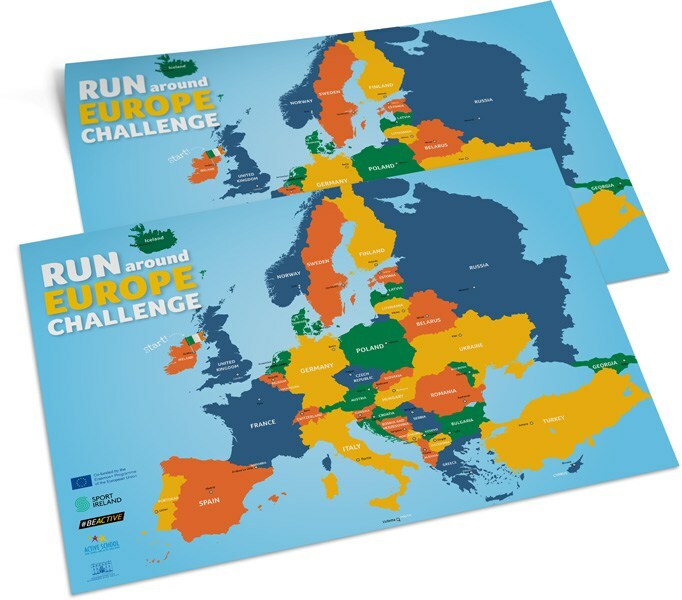 As part of European Week of Sport, we will be taking part in the 'Run Around Europe Challenge' from Monday 25th- Friday 29th September. All the boys and girls from Infants to 6th will be encouraged to walk or run laps at break and lunch times and we will track our progress to see how many European capital cities we can reach over the week. All staff will be taking part too and we are looking forward to the challenge.Parents, please ensure your child is wearing suitable footwear for the week. We will be continuing to stay active in Scoil San Nioclás during the new school year and we will be working hard to renew our Active School Flag. A committee of staff, pupils and parents will be up and running again very soon and we hope it will be a fantastic year of fun, fitness and activity. If any parents would like to be involved with the committee, please contact Mrs Duffy. 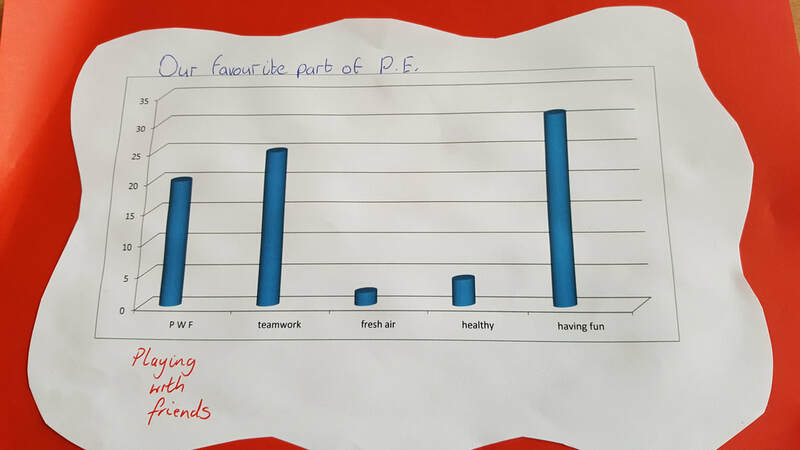 Well done to all the boys and girls in 1st and 2nd class who took part in Be Active A.S.A.P 2017 and a big thank you to Ms McArdle, Ms Savage and parent helpers for running the programme . Be Active will be back in May 2018!